Team Sky train there and the cycling is so good on the island, they (i.e. we Brits) named it twice. Yes, I’ve just enjoyed a week in the Mallorcan sun riding my bike. This was not a training camp of any kind. It was a holiday and a chance to combine everything I love about cycling. Climbing, descending, sunshine, breathtaking views and smooth roads. Why Majorca? To be honest I was being lazy. I was tired, oh so tired. I wanted somewhere I could simply get off the plane, get on a bike and ride. I considered France and Switzerland also but on this occasion the logistics made my legs ache before I’d even left the house. As much as I love a good tour complete with panniers, this time I just needed a break. If there’s such a thing as a cycling holiday, Majorca is it. Go. Really, just do it. 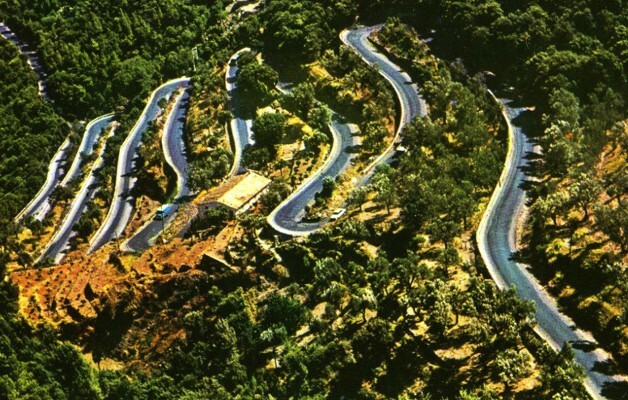 Bradley Wiggins calls it a “Scalextric set for cyclists” but one look at the twisting, looping hairpins on the Sa Calobra descent and climb also brings to mind the Hot Wheels Mega Loop Mayhem Trackset. Let’s face it, by the time you reach the top you won’t know which way is up either. There’s a very good reason why the pros train in Majorca. Sun, smooth quiet roads, twists, climbs, endless descents, coastal roads, little traffic and respect from drivers. Still reading? Why aren’t you on skyscanner.com? But what’s with the two names? Is it Majorca or Mallorca? As usual, it’s the Brits abroad who are to blame. We do like to rename places don’t we? Have a guess which one is the original. Go on. Majorca is hot. This you know from those BBC3 documentaries where teens spend the night dancing on bars dressed only in their underwear. So I’m told. Personally I love cycling in the heat, odd given I melt in anything over 21°C if I’m not on the bike. That said, plan accordingly. Towards the end of September the mercury still made it above 30°C. For me this was perfect, the temperature dipping slightly as you climbed, not too cold on the descents and that lovely feeling of sinking into a warm bath as you glide back down to sea level. Go during the summer and you’ll need to be up early to avoid the blistering heat, which makes this less of a holiday and more of a regime. I was in Puerto Pollensa (Port de Pollenca). 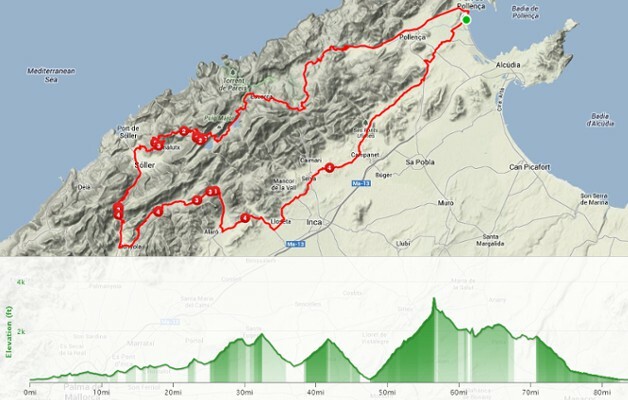 Ideally located just eight miles from the Serra de Tramuntana ‘mountains’ (you ride ‘em and then tell me they are not technically mountains). Conveniently, my modest self-catering accommodation was just 3 minutes from the sea so I could take a post-ride dip. And yes I did pretend I was a pro taking an ice bath. Down the coast you’ve got Alcudia, the base of choice for Team Sky. It’s slightly further away from the mountains. Looked trashy to me too, what can I say? Both are a long way from Magaluf, which is on the south of the island. A good or bad thing I’ll leave to you, the dear reader, to decide. That said you could stay in the south, just so long as you’re on the west side of the island near the lumpy stuff. Jaegerbomb and protein shake anyone? Take your own bike or hire? I love my bike. Parting with it I feel lost, a teen with no mobile, a Guardian reader without an opinion, a BBC football pundit with no overdone suntan. Such love is also why I find life is easier when you hire a bride for a week. There’s no worrying about transport damage, no stressing about your precious going missing, no reassembling, no carrying the bloody thing to the airport and no driving for 24hrs non-stop to avoid the dreaded baggage handlers. Sure it costs a little extra dollar to hire a road bike but not much once you subtract transport fees. Plus you get a new bike to test. One possibly better than the one you ride. You know it makes sense. An honourable mention here to Bruce and the team at Pro Cycle Hire for fixing me up with a carbon road bike for the week. Ordered online, measurements sent, pedal type supplied and I was ready to ride when I collected the bike. Even if you don’t hire a bike, pop into the shop, it is a veritable museum for some lovely steel framed bikes. Wow. 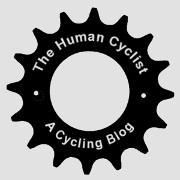 The pros and cons of road bike hire are debated in more depth elsewhere on the blog. Yeah, yeah, but what about the riding? You cannot fail to be impressed. Panting up Puig Major, twisting your way down to Sa Calobra or taking in the ocean views as you rise and fall towards the Formentor lighthouse. Your legs may not thank you for it but your cycling heart will. Speaking of which, I think I left my cycling heart on a Mallorcan road somewhere, look out for it, it’s probably still beating at 196bpm. 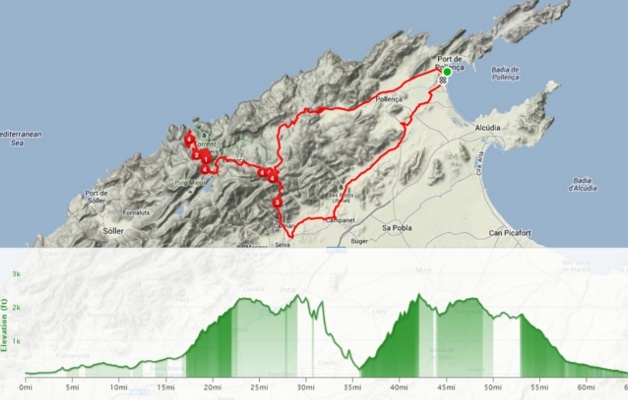 Above are the major climbs in Majorca and below are my top cycling routes after riding almost 400 miles and wheezing up an incredible 18,000 metres of mountains. At 85 miles and 3,500 metres, this is a ride for day one when your legs are still fresh, hopeful and naive. The ride starts gently with a couple of leg warmers through the beautiful Orient Valley. Lulled into a false sense of security, don’t forget the next climb comes at the 50 mile mark and peaks at 850+ metres. There’s few hairpins on the final Puig Major climb so it’s a never ending, hard straight slog to the top and a stiff mental challenge. A long dark tunnel greets you at the summit, seemingly completing your journey into hell as you are enveloped in darkness. Be careful in here, it’s a can’t see your handlebar blackness and the side of the roads are gravelly in places. Job done, it’s a lovely 25 mile descent back home. Awesome. The gentle Coll de sa Batalla flies by as you dream of the hill of a thousand hairpins that goes by the name Sa Calobra. No picture I have seen does this climb justice. Seeing is believing! Practise your descending as gravity drives you around bend after bend and when you get to the bottom you can wonder why on earth somebody bothered building the road! Little to see, you simply follow the road and loop back on yourself, slip the chain into the easiest gear and turn back up the climb. Sa Calobra is the cruellest of climbs in so much as you have no choice but to descend before you’re allowed to climb. Thankfully I found the bark worse than the bite. I love hairpins, they give you rhythm and a change of scenery. With each turn you see your achievements so mentally the climb is much easier than Puig Major. A word of advice. Watch out for the platoon of mega-coaches that for some god awful unknown reason descend these treacherous turns. There really is no reason to descend this hill but to climb back up it again. Damn you tourists with your empty itineraries to fill. Climbing you need to go slow and watch your timing as coaches struggle around 180 degree turns. Go early, you will be rewarded. Take it easy, you’re on holiday remember? A cycling holiday, an oxymoron if ever there was one! 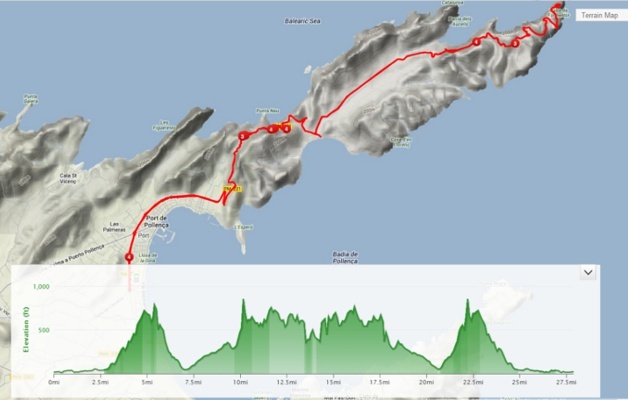 Formentor may rhyme with tormentor yet this is a lovely 30 mile ride from Puerto Pollensa with a gentle calf stretching 2,000 metres of climbing. Get up early or go late with some bike lights to guide you down the dark descent once you’ve watched the sunset. This was meant to be a gentle evening pootle however I left my hotel late and found myself in a race against time to reach the cape and return before sunset. Great ride, possibly my favourite, even with the very rough roads on the latter half of the route. Riding so late I virtually had the roads to myself and, fuelled by a can of coke and a dose of panic, I found myself flying to the peninsula as the sky turned orange, red, pink, purple, quick, quick, it’s almost black. And then I was back, beaming. Hurting too. Superb. Did I mention the velodrome? I never imagined my first experience of a velodrome would be a dustbowl in the middle of Majorca. So it was courtesy of a group ride organised by Bruce and the team at Pro Cycle Hire who took us out to the Sineu Son Moix Velodrome. I was nervous as I steered my way onto the outdoor track. Boy are the banks steeper than they look on TV. I was convinced my front wheel would go skiing down the slope at any minute taking yours truly with it. Somehow I defied gravity and remained upright. Was I ready for my ‘hot lap’? No, not really! Scared and with tired legs, it was hard to go all out in the corners, the sloping sides a little too alien to bank the bike fully especially with the concern of pedal strike. One thing I know for sure, I’ll be taking my fixed track bike beyond its usual commute to an actual track to improve on that time! Want more? You can find all of the above routes and gpx files on my Strava profile, plus a few more rides (EDIT: also directly linked in the comments below). Here’s a great site with even more climbs mapped. Sunsets and sunrises: You’re a cyclist, you get up early and get home late, may as well look to the horizon. Wow. The water: Don’t drink it. Just don’t. It don’t taste like it oughta. I’ve never had the pleasure but i hear nothing but good things about cycling on Majorca. Whenever i’ve cycled abroad it’s always been France- which is great, obviously – but i like your idea of get off the plane, get on the bike and ride. I’ve never thought of it like that before – i will definately give it a bash when commitments allow. France is great and worth the effort I find, especially if you snag a Eurostar summer ticket all the way down to Avignon. That puts you within easy reach of Ventoux. Not sure if that is a good or bad thing! Great post, just makes me feel slightly envious! and I like the look of those climbs on your gps profile! Thanks Tejvan – I cannot recommend Majorca enough, if you can tear yourself away from the steep inclines here in the UK that is! The 5-7% gradients would really suit your TT hill style. And the blog was somewhat inspired by your own, so thank you. Our B-Spokes bunch were looking at Puerto Pollensa for next May, I think this seals it! You’ll not regret it, say hello to the beautiful beach and those lovely hairpin climbs too of course! Sorry for being a dullard! 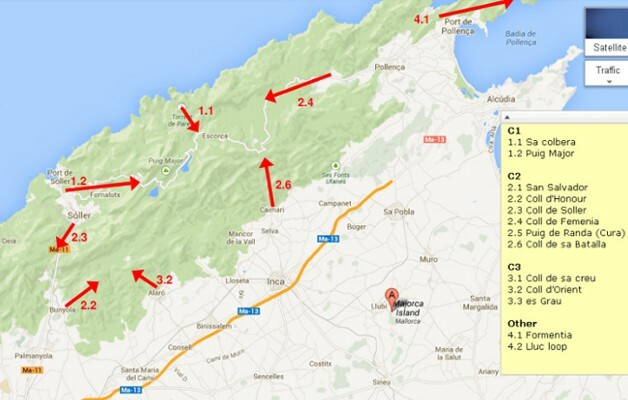 Love the blog, off to Majorca on Saturday and I’m allowed 3 rides so following your routes! Just how do I go about finding and getting them from your Strava?! Thanks for reading. I think it’s very difficult to find them once a little time has passed. However, happy to share the Strava rides below for ease and you should be able to download the GPX routes direct. Enjoy and give them hills hell for me! Hi, I can see the routes / activities in Strava but doesn’t seem to have the usual ‘save as GPX’ option or ‘create route’ option ? Very memorable especially claiming the Puig in 33 deg! I am looking to come this Oct to do some late year cycling – 4 to 5 hours a days max. Can you recommend a location and hotel that rents bikes that would make a good place to stay and base camp to ride from. Planning to stay 5 to 7 days. Hi Bonnie, Puerto Pollensa is a good base and has plenty of cycle hire options. To reach most of the big climbs in the mountains you should expect to cycle for about 5-6 hours each day depending on how quick you are. I would recommend planning a few flat rides along the coast too and maybe a rest day, especially if you stay for seven days. Enjoy, it’s a beautiful place to cycle. Hi Bonnie, I’ll be there in Oct, we usually stay around the albufera region of Alcudia and hire bikes from max hertzeler which is based in the iberostar hotels, I highly recommend them. Heading to Mallorca in march. Can hardly wait…. I decided 2 weeks two weeks ago to fly to Mallorca in March. My haphazard and spontaneous approach left me wondering why my very nervous pal who has never climbed a mountain agree to go with me. I thought I better offer some reassurance and sort out some routes. I stumbled across this page and I have discovered a plethora of routes, info and interesting blog pages. Thank you for sharing your Strava routes. I can now take my friend and I to Mallorca and navigate the best climbs without having to frequently stop to work out which way to go. Hi Allyson, that’s great to hear, thank you for the kind comment. Hope you both enjoy the Island and the climbs (or at least one of you!). There’s quite a few rides I want to do next time I go to Mallorca. I will keep your blog in mind, this is quite useful. No worries, enjoy the roads Frederik, beautiful. You’ll find some lovely little lanes by just riding and heading for the mountains is easy enough from Polencia or Alcudia unless it is really cloudy! Once up there you’ll see most climbs signposted and there’s only one road across the spine of the mountains. You just may need to descend them first before climbing them again. Great place, you’ll love it either way.